Over a decade ago this website was the first commercial online e-commerce store in the Lake Tahoe area. 56K modems had taken the area by storm and I ran the online store on a Windows NT workstation I configured as a server using O'Reilly's WebSite Professional (later taken over by Deerfield), iHtml Merchant, and hooked up to the Internet using a blazing fast ISDN connection running at 128K! The NT box was a blazer at the time, a Intel 586 running at 460Mhz. The entire system was rock solid and it still runs today, that is if I'd plug it back in and turn it on. Today, I use the domains tahoestores.com, tahoestores.net, and tahoestores.org to name the various Unix servers I use to run my Internet properties. Tahoestores.net is currently deployed as our primary Internet server. Gossamer has been designing websites that work since 1996. Our design style features are key to the user acceptance and the exceptional search engine rankings our sites receive. The result is that your new customers can find your website and will enjoy using it. Within theses pages you find information on various topics you should become familiar with if you are to venture into the web. We offer a variety of services all targeted toward helping your small business grow. 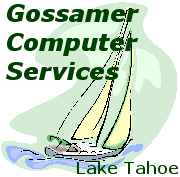 You can find a rather complete list of these services on Gossamer's online store. In addition, this information may help you decide how to evaluate your future webmaster. We have included some basic marketing tips, how to use search engines to help you promote your website, information on our web hosting, programming services and E-Commerce solutions and a small sampling of some of our work. Search Engine Optimization for your website can have a profound effect on your cost of ownership. Pay per Click services can cost you $1 or more per click. With proper design of your website you can minimize these costs. Included here are the basic rules for optimizing your website. Read it and save. 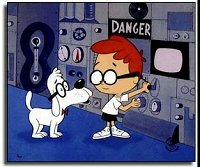 I learned the basics of computer repair back in the late 70's and early 80s while at Texas Instrument's Digital System Division. While those monstrous motherboards fit in one of today's computer chips, the art of diagnosing and repairing a computer system remains the same. When it comes to fast, efficient computer repair experience does matter. To expand your business to sell online you don’t need to break the bank. Gossamer reviews dozens of online solutions every year and we are proud to recommend and use, Instinct Entertainment’s WP eCommerce Plugin for WordPress.